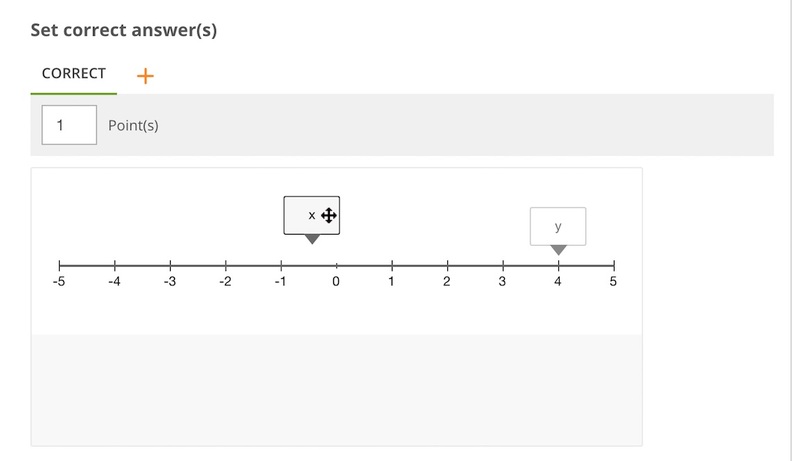 A number line association question is a drag and drop type item that asks students to plot possible responses on a number line in response to a stimulus. In the Compose Question field, write the question or instructions for the student to follow. Enter the minimum and maximum value for the number line. If you want a title, fill in the Title field. In Possible Responses, write the possible responses or names of the point(s) the student will drag to the number line.This can be formatted as text, a number, a fraction, or a mixed fraction. They will appear under the number line. Click Add to add more responses or click on the garbage icon to delete responses. In the Set Correct Answers section, write the possible points per response. 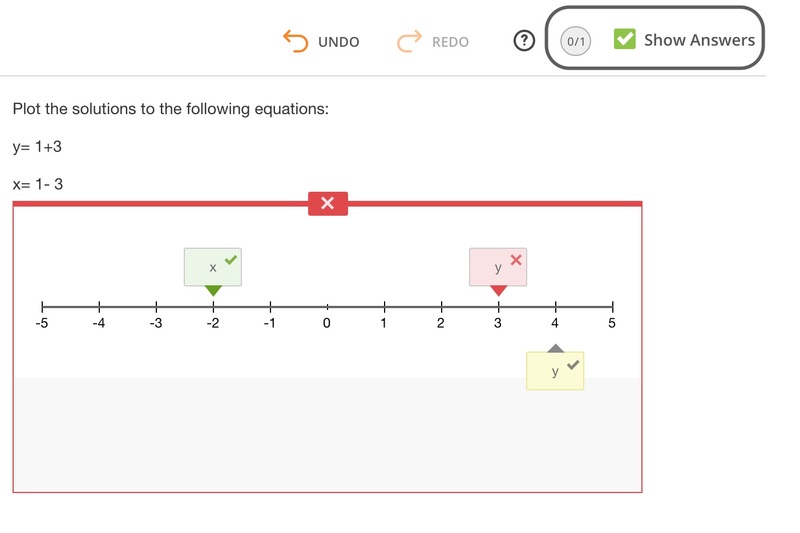 Click on the possible responses and drag them to the correct location on the number line. Click on the carat to show More Options. 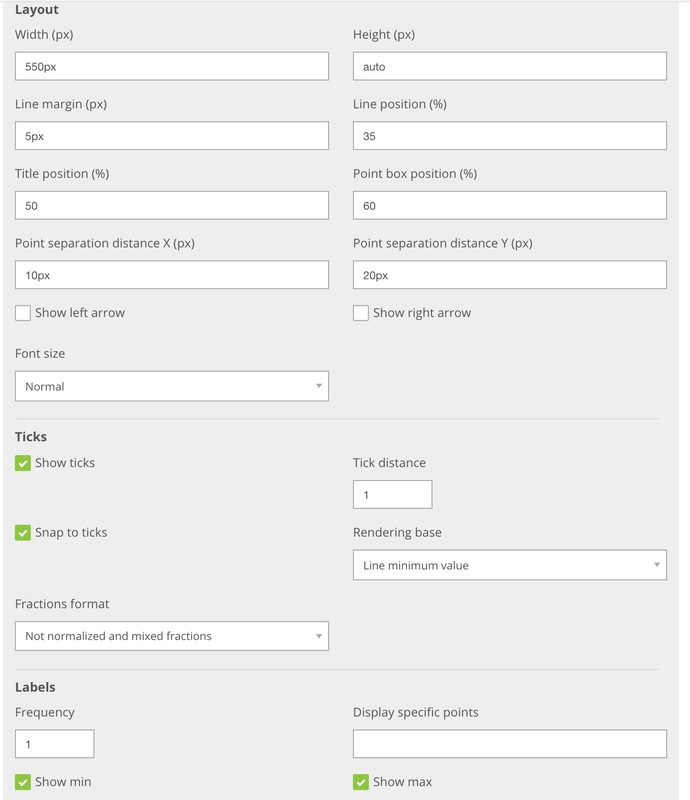 You have the option to change the formatting and layout. In the Ticks section, enter the value distance in the Distance field, and check the boxes if you want to show the ticks and have the responses snap to the ticks. In the Labels section, set the Frequency for which you would like the numbers to appear on the number line. If the frequency is set to 1, every number between your set minimum and maximum would appear. If it is set to 2, every other number would appear, etc. 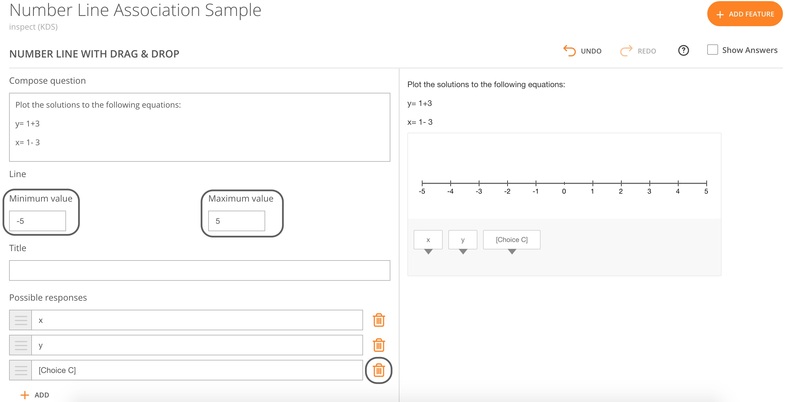 Check the Show Max and Show Min to show the maximum and minimum value on the number line. Before you publish the item, validate that the answers are functioning correctly. To do this, click on the response boxes and move them to the number line in the preview pane and check the Show Answers box. Correct answers should be highlighted in green and incorrect answers should be highlighted in red.